Solutionwhere is offering a special discount from now until July 1, 2018. 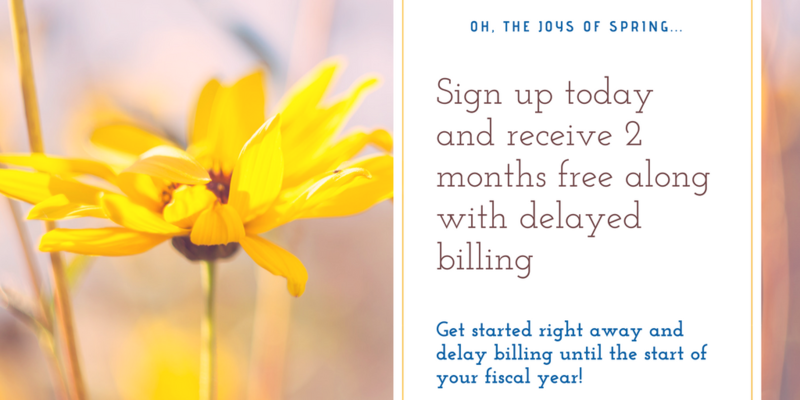 Sign up today and receive 2 months free and delay billing until July 1st. We know it can be exciting to discover just the right solution for your professional development needs, but your school budget cycle might be too inflexible to sign up right away. That's why we're offering this special deal to get you started on your journey to an easier registration process. Call 231-935-3000 to get the process started.